Tile and Grout Cleaning is best left to a professional cleaner. We have expert floor cleaning experts in Stamford CT ready to give your tile & grout the deep cleaning it needs. ​ Trying to clean your floors by hand is hard work, terribly uncomfortable and next to impossible without the right tools. Grout is a very porous material that traps in grime, spills and other dirt. Even if you regularly mop your floor with even the most expensive solution you won't get out the hidden mess that lies deep in the grout lines. Carpet Cleaning Stamford will restore the luster to your floors making them look so good that you won't even want to walk on them. Let our professional staff make your floor look like a million bucks instead of like a college dorm room. Our trained technicians do a thorough inspection in order to select best cleaning agent for your floors. Our industrial strength high pressure vacuum tile steam cleaner will extract even the hardest to reach dirt. Our progressive technology meets the demands of today's cleaning requirements without damaging your floors. The right water pressure to vacuum power relationship is maintained by our elite steam cleaners. You'll be surprised how much dirt gets pulled out of your tile. After a deep-cleaning is finished our experts will then apply a finishing coat of our specialized clear or colored sealant to increase the lifespan of your floors. 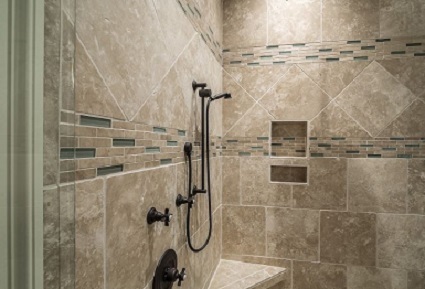 Clear sealant is ideal for grout that has kept its color over the years. Colored sealant is best for Tile & Grout that has some discoloration. Even the deepest clean won't remove discoloration. Colored sealant is designed to match your color scheme, and give you the brand new look you've been wishing for. Both sealants will get deep into the pores between the tiles to create a barrier against future stains & blemishes. Many customers invest in a deep clean and seal when moving into a new home. If your moving into a new home, and want it looking new for years to come call us at (203) 635-6135.